PLUMBPROS Plumbing is your one-stop shop for all your plumbing service needs. 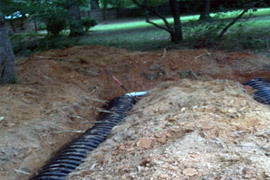 From Waterline Replacements, To Drain Cleaning and Sewer Repair, We Do It All. Call Us Today! We really do it all when it comes to residential plumbing services. Even If you don't see it on this short list, chances are good we can solve your plumbing problem. Our experienced licensed plumbers have run into all kinds of residential plumbing issues over the years. Plumbing is not a hobby and should not be attempted by a handyman or DIY project. Sure, there are some very minor plumbing issues that might not be too difficulty to address, but why take the risk? When it comes to your home's value and the safety of your family, having a licensed professional plumber take care of plumbing repairs can give you the peace of mind knowing the job will be done right. Think about it, even installing a faucet or replacing a shower head, can go very wrong with an inexperienced installer. What could go wrong? Improper installation or just bad luck dealing with a sudden broken valve, could cause a major water leak and water damage to your home. How about a toilet that's not properly installed? We have had to repair many of these in the past. The cost of redoing a plumbing repair or installation will be greater than it would have if it was just left to a professional in the first place. Understandably some homeowners get the satisfaction of a DIY project because it's a fun challenge and not just about saving a few bucks. But knowing which ones to attempt and which to leave to the professionals is important. Besides, we make the entire experience as easy as possible. We offer free estimates and flexible scheduling. In addition, with our fair up front pricing, there are no surprises and you will know the cost up front before we start. 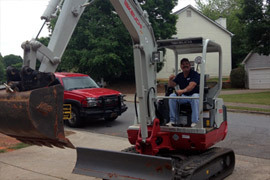 Call PLUMBPROS Plumbing and we will take care of all your plumbing needs. Fast, friendly and affordable.